Consumers can now pre-order and get their hands on the latest innovation from Vivo: The Vivo V11. Equipped with 6GB RAM, In-Display Fingerprint Scanning, AI Camera, and the Perfect Backlight Shot, it is now possible to have the best smartphone experience for only Php19,999. 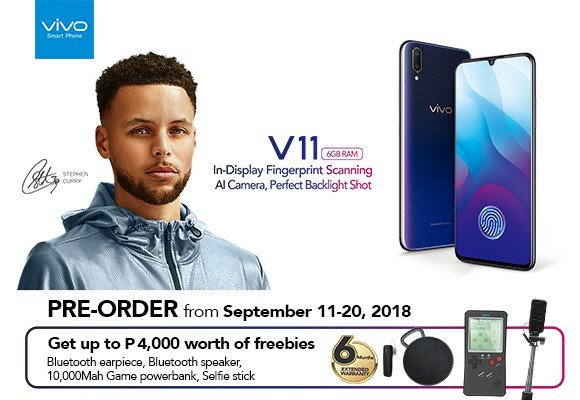 Right now until September 20, one can pre-order the Vivo V11 in all participating Vivo concept stores and kiosks as well as in multi-brand shops. It will come with freebies—a gift set (a Bluetooth speaker, a Bluetooth earpiece, a selfie stick) as well as six months extended warranty. 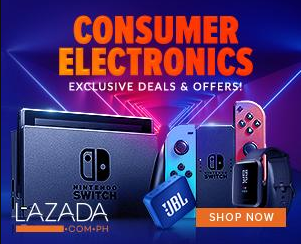 “Vivo V11 is an excellent phone because it's user-friendly, functional, and long-lasting,” Vivo Philippines Vice President for Sales Ms. Hazel Bascon said.